Cleaning the stable keeps your animals happy and healthy. 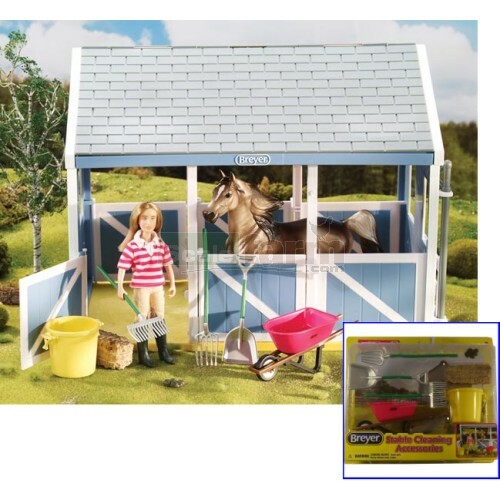 This set includes a wheelbarrow, muck bucket, shovel, rake, pitchfork, hay bale and imitation horse manure. Barn, doll and horse not included.